Help your child grow with our Montessori Family boxes! We deliver in the UK and across Europe. “”These boxes are amazing. My boys (3 and 5) really get excited when they arrive. But what I think they really love about them is that it’s something we can all sit down and do together. Discover the First Montessori Subscription Box in the UK and Europe. Our monthly subscription boxes are aimed at children aged from 3 to 6. They have been carefully designed by a Montessori teacher with a background in child psychology. 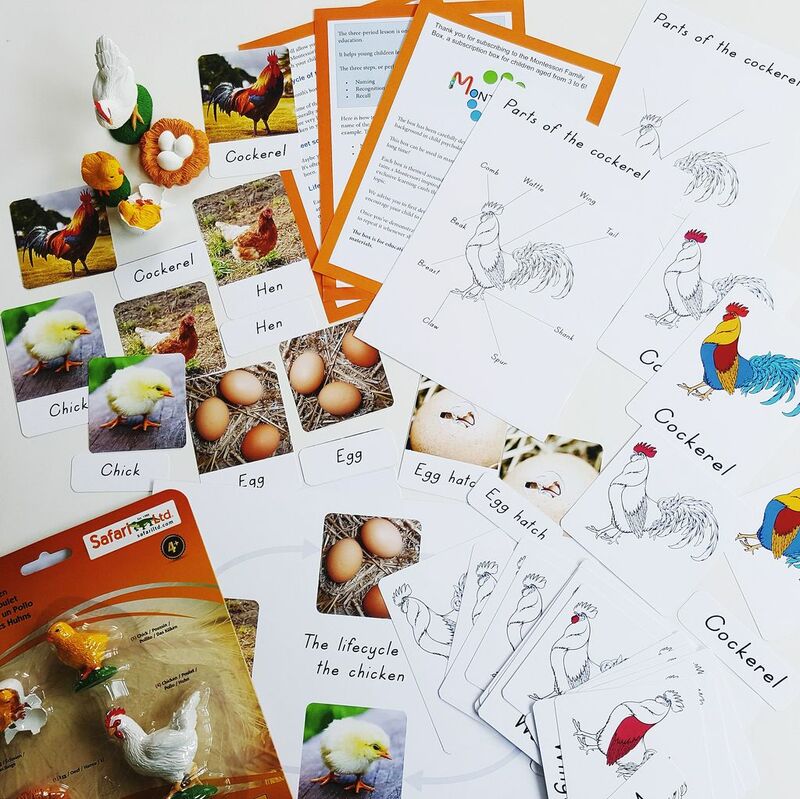 Our boxes are themed around specific learning skills and topics. They’re incredibly fun and can be used in many ways. Your child will enjoy them for a long time! Montessori is an educational approach that has been used for over 100 years and trusted by thousands of schools around the world. It is an ideal educational method for young children based on the natural development of the child. Maria Montessori observed that children learn best by manipulating objects, by experiencing the real world and through their 5 senses. Our boxes are carefully designed around those principles. It is not only children in Montessori schools who can benefit from the Montessori education. Maria Montessori encouraged parents to observe their children and to adapt to the environment, the house, the toys and activities to their child’s needs. Each box contains a Montessori inspired material, craft and art activities, and our exclusive learning cards that will enhance your child’s learning of the topic. Topics of the boxes will be based on the reality principle and are perfect for children aged 3 to 6. Long lasting materials and exclusive 3 part cards. Access to our member's area with videos & extra ideas. The April box is now on sale! Stocks are limited and we have been sold out every time so far! If you are based in Europe (outside the UK), scroll down to the bottom of the page to see our shipping options! Please check our T&C for more details about the subscription. Note that the box is not suitable for children under 3 because it contains small items. All children must be supervised while working with the box’s contents and activities. This is an educational material and children must be supervised by an adult while working with the box’s contents and activities. I bought two subscription boxes and I could not be happier with the variety of items in each. Each box has been carefully conceptualised so that you can use the materials alone or in conjunction with other items in there. The three-part cards included are useful and clear, and designed by Carine. "We LOVE the ‘All about birds box’ we have had SO much fun already....."
My little girl (4yrs) also follows the ‘Exploring Nature with Children’ curriculum and its actually bird week so its been a wonderful addition, we are off to a bird hide tomorrow that we have just found to see which ones we can spot! 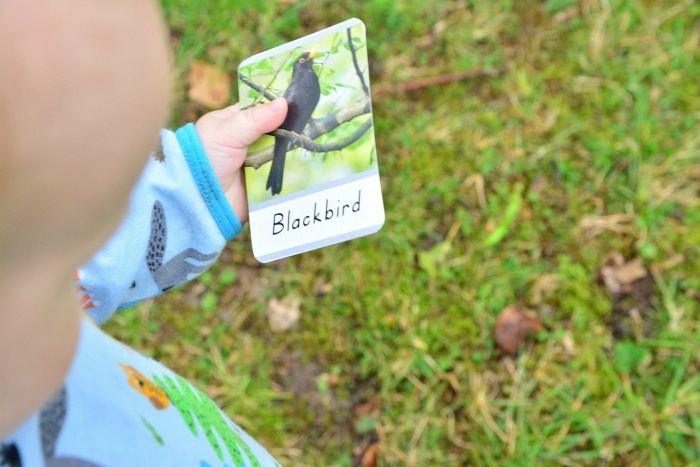 My daughter has really enjoyed learning the new names and parts of the bird. Such a great resource that I know we will use for many years to come, cant wait for next months! Each box contains some Montessori friendly material and manipulative. Each box contains our exclusive 3 parts cards and learning cards. We have a 2 years cycle and 24 topics. Some of the topics are: exploring the continents, all about flowers, land/air/water, seaside and many more! You can subscribe to our box for 12 months and cancel at any time. Please, check our T&C for further details. As a subscriber of the Montessori Family Box, you receive 20% off my Montessori Parenting E-course. "These boxes are amazing. My boys (3 and 5) really get excited when they arrive. But what I think they really love about them is that it’s something we can all sit down and do together..."
The boxes are set up in a way it’s so easy to tailor to each child’s understanding and needs. My eldest tries to use cards with words while my youngest can use just the picture cards. I also enjoy sitting down with them both knowing they are both completely engaged in the same activity. That really doesn’t happen often!!! I love the step by step cards. They are easy to follow or to just dip in and out off. And I also know we will keep coming back to these boxes when relevant to their schooling or just because they want to revisit the box! It’s just the second box but just like my boys, I am really excited for ALL the future boxes! Thank you for creating such an amazing product! Can’t wait for the next one. "What I like about the Montessori Family Box is that the materials are adaptable to your child's age, skills and, abilities..."
Although instructions are provided, you can use the materials as you like. Below we have taken one of the three-part cards on a bird hunt. I know it's likely we will find a blackbird, so I have introduced the (verbal) word 'blackbird' to Otto and we go out looking for blackbirds - and find one!! Later we could use the cards for matching or sorting and next year or even the year after Otto can use them as three-part cards. The materials are of high quality, they are all professionally made. The images are clear, the paper is glossy and the cards are thick. Each month the theme changes, so you can introduce them to your child or save them for when an interest arises. "I just wanted to let you know that we have received our box and are really pleased with it"
". I love the shapes- amazing quality. So pleased I subscribed as I’m usually a bit skeptical! Can’t wait to find out what the next topic will be!." You have a choice between regular delivery or tracked and signed delivery. "So excited to receive our first box yesterday"
". Watching the video of Carine and her adorable son using the activities, I can see we'll be able to use these again and again in so many different ways. 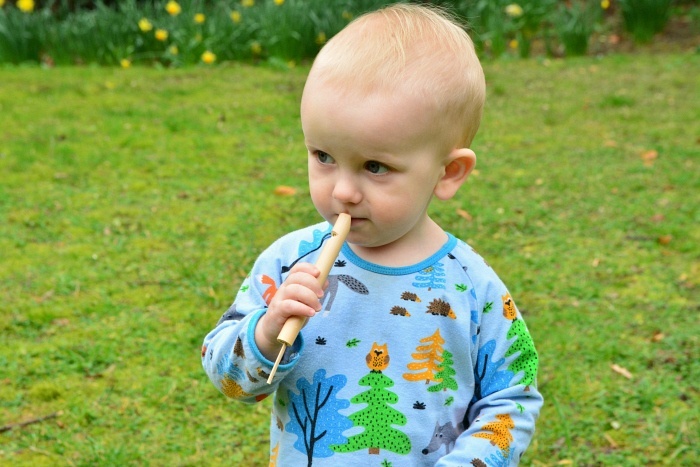 Absolutely thrilled she has done the hard work for me and I now have the tools we need to bring Montessori in our home in a truly educational way." "I'm really impressed by quality of the three part cards and the pictures cards"
"Absolutely loving this subscription box. The first box includes materials and guides to explore shapes. I'm really impressed by quality of the three part cards and the pictures cards. They are very strong and will definitely last for years to come. There are also extra printables resources available to accompany the box and ideas to use household items to extend the learning opportunities. Everything is clearly explained box on instruction cards and video demo online. It's clear a lot of time and thought has gone into the box and we are very exited for future deliveries." Watch this video review of the February box.